A general view as to why skill training is important in the education ecosystem, what are the benefits. How does it help one grow. Despite being world’s youngest country in terms of demographic dividend, India has only 2% of the workforce skilled compared with 96% in South Korea, 45% in China, 50-55% in USA & 74% in Germany. All these years, we focussed on building Higher Education and very little did we think of enhancing the Employability Quotient (EQ) and produce skilled manpower through skill training Interventions. Indian Education sector has seen rapid growth in nos. of Institutions and students over last few decades. As per UGC report, in 1950-51 there were approx. 750 colleges affiliated to 30 universities, which has grown to over 727 universities, 35000 colleges & 13000 standalone Institutions in 2014-15 and counting. Regardless of the tremendous growth, higher education has not proved too efficient to make youths of the country employable as per need of the employer due to low Skill Quotient (SQ). In today’s world of Globalisation, Skill Training is an Integral component of increasing efficiency & productivity for sound economic development of any economy, In India, it’s still at a nascent stage, however the demand for skilled manpower is huge and to cover this gap, it is very pertinent to re-engineer the skill ecosystem. As India paves its path to be a Global Economic Powerhouse, it is imperative to equip its working population with employability skills. Today, India is one of the youngest country in the world with more than 62% of the population in the working age group (15-59 years) and more than 54% of the total population below 25 years of age. Core focus on job role based skills leads to comprehensive specialisation, thereby increasing efficacy of the candidate. Skill Training interventions raises confidence, improves productivity & competency of an individual through focussed outcome based learning. In 2014, Skill Development started getting booster from the Govt. under the visionary leadership of our Hon’ble Prime Minister, Shri. Narendra Modi-he encouraged Skill India Mission and also formed Ministry of Skill Development & Entrepreneurship Skill (MSDE) to coordinate all skill development activities, capacity & technical/ vocational training framework building, assessments framework. The Ministry is dedicated to skill 400 million workforce by 2022. MSDE has launched Pradhan Mantri Kaushal Vikas Yojana (PMKVY) which is the flagship outcome- based skill training scheme, the objective of this skill certification and reward scheme is to enable & mobilise a large no. of Indian youths to take up outcome based skill training & become employable and earn their livelihood. 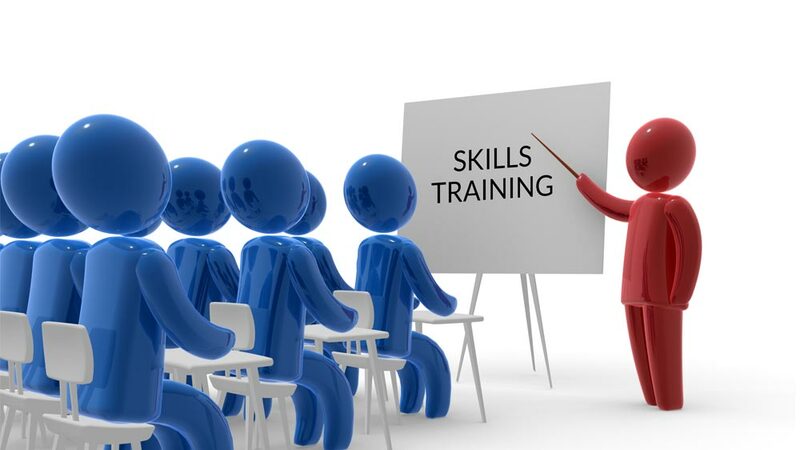 National Skill Development Corporation (NSDC) is a central nodal agency under MSDE responsible to build strong skill training capability through funding training partners. NSDC has been working to define and align all the training nationally under National Skill Qualification Pack (NSQF) as defined in the National Skill Development Policy which aims at bringing standardised ecosystem well- recognised by the industry across the Globe. India is poised to standout as one of the Skilled nations in coming years and it’s time for Higher Education & Skill Training to exists in same space with seamless Integration as part of curriculum. To enable this, it is very important for the Industry and Academia to work together to generate focussed hands- on candidates with right blend of learning and employability traits.